The Korean Peninsula (lat. 33˚ - 43˚; long. 124˚ - 132˚) lies in the middle of Northeast Asia, flanked by China to its west and Japan to its east. The peninsula is 950km long longitudinally and 540km wide latitudinally. The total area of South Korea is 100,364 km2. Excluding the northern end, which is joined to the Asian continent, the peninsula is surrounded by water on three sides, with flat land and mountains accounting for 30% and 70% of the entire territory, respectively. Mountains over 1,000m above sea level make up only 15% of the mountainous areas, while mountains lower than 500m account for 65%. The Taebaeksan Mountain Range forms the backbone of the peninsula, with the eastern part of the range rising higher than the western part. Rivers, both small and large, originate from the high mountainous areas in the east and flow toward the West and South Seas, forming plains suitable for grain cultivation. The climate created by the mountainous areas in the east has an impact on people’s lives. The easterly wind’s passage across the mountainous areas is subject to the Foehn effect, creating a warm and dry wind in the western downwind side of the mountain range. People living in the areas to the east of the high mountains experience considerable inconveniences with regard to transportation, as these areas have undergone very little development compared to the area to the west of the high mountains. However, the slow pace of development has brought at least one advantage to local residents: the natural sceneries have remained unspoilt and many people now choose these areas as travel destinations. The East Sea has a relatively straight, featureless coastline, and the difference between high and low tide is only 30cm. However, the sea along the coast is generally deeper than 1,000m. 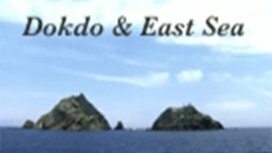 According to the result of a sonar measurement carried out by the Korea Hydrographic and Oceanographic Administration, the deepest part of the East Sea lies in the area north of Ulleungdo Island (2,985m deep). In contrast, the sea along the West Sea is shallow, which has led to the formation of wide tidal flats. During the summer holiday season, Haeundae Beach in Busan attracts around 1 million visitors per day. Gyeongpodae Beach in Gangneung and Daecheon Beach on the West Sea are also popular holiday destinations during the summer. In winter, people enjoy skating and skiing across the country. There are many ski slopes in Gangwon-do Province. Winter snowfall in the mountainous areas of Gangwon-do sometimes reaches 50 - 60cm in a day or two. The average daytime temperature in spring and fall is maintained at 15 - 18˚C. In these seasons, the sky is clear and the weather is pleasant and agreeable, encouraging many people to engage in outdoor activities or go on a trip. Recently, the Korean Peninsula has shown signs of transition to a subtropical climate amid the phenomenon of global warming. In summer, the temperature rises above 35˚C. In spring, azaleas and forsythias bloom earlier than in the past. Over the past 4 -5 years, many new and extraordinary climate-related records have been reported. In December 2010, a cold wave hit the peninsula for 39 days, lasting well into January of the following year. Heavy snowfall hit Donghae and Pohang, breaking a 79-year-old record. In July 2011, the heavy rain concentrated on Seoul and its vicinity was recorded as the heaviest daily rainfall in the meteorological history of the country. Summer heat waves have become more common, and precipitation patterns are also changing. During the monsoon seasons in the past, rain used to fall nationwide due to the influence of a wet front. Today, torrential downpours, which bring rain to a concentrated area, are often observed. In winter, heavy snow also tends to fall in concentrated regions. Only 10 years ago, it was usual for cold and warm weather to succeed each other on the peninsula every three or four days, but that pattern has almost completely disappeared as well. Archaeologists think that people started settling in the Korean Peninsula around B.C. 700,000, during the Paleolithic Age. South Korea’s 2017 population was estimated at 51.42 million, and according to the 2017 Population and Housing Census, 49.6% of the population resided in the Seoul metropolitan area. This was up by 0.5% from 49.1% in 2010, showing a distinct trend towards concentration of population in the capital. Meanwhile, the country’s low birth rate has emerged as a serious social problem. The total fertility rate, which represents the average number of children that a woman can have throughout her lifetime, stood at 1.17 in 2016. The figure fell after rebounding from a record low of 1.08 in 2005, thanks to the government’s measures to encourage childbirth. The number of newborns in 2016 was also the lowest at 406,300. Meanwhile the life expectancy of South Koreans reached to 82.1 years (as of 2016), higher than the OECD average. The international migration of South Koreans began at the end of the 19th century and the early 20th century with people leaving for China and Russia. Around the mid-20th century after the 1945 Liberation of Korea, the United States was their main destination, though Koreans also started to emigrate to diverse regions around the world including Europe, the Middle East, and South America. As a result, the number of overseas Koreans amounted to 7.4 million (2016) spread across 194 countries. Statistics showed that the largest number of expatriate Koreans were in China (2.55 million), followed by the United States (2.49 million), Japan (820,000), and Canada (240,000). Since 2011, the net inflow of population has outnumbered the net outflow. The number of foreign nationals residing or working in the country has increased dramatically, particularly since 2000. According to Statistics Korea, 407,000 foreign nationals arrived in the country in 2016, the net outflow totaled 75,000, which was up by 14,000 YoY, while 714,000 foreign nationals arrived in the country. Regarding the purpose of their arrival in the country, employment (31.8%) topped the list, followed by short-term stay (30.4%), study (13.1%), and arrivals of overseas Koreans (12.8%). In particular, the number of foreign nationals who enter South Korea for study or training jumped by 30.1% YoY, the largest figure since 2000 (as of 2016). Most linguists place Korean in the Altaic language family, though some consider it to be a language isolate, meaning that it cannot be simply related with any other language. The written form of Korean uses Hangeul, a writing system commissioned by King Sejong (1397-1450) during the Joseon Dynasty. Koreans are very proud of this remarkable achievement, and Hangeul is a very efficient and easy script to learn and use. Hangeul is composed of fourteen consonants and ten vowels. It can express virtually all the sounds produced by nature and humans. Every year, UNESCO presents the King Sejong Literacy Prize to people who have made a distinguished contribution to the elimination of illiteracy. The inclusion of ‘King Sejong’ in the name of the prize may be said to be tacit recognition of his greatest accomplishment, the creation of Hangeul, which is easy to learn and use. The museum was established to preserve, disseminate, and recreate the value of hangeul and its culture. The picture shows the hangeul photo zone installed in the exhibition hall of the museum. Sejong was the fourth king of the Joseon Dynasty. He made many great accomplishments in the spheres of science, economy, defense, art and culture. One of his greatest accomplishments was the creation of Hangeul in 1443, an easy-to-learn, efficient, and scientific writing system. He is respected as one of the country’s greatest kings among Koreans. The national flag of Republic of Korea is composed of a red and blue taegeuk pattern in the center and four black trigrams at each corner, against a white background. The white background symbolizes brightness, purity, and peace loving ethnic characteristics. The taegeuk pattern symbolizes yin and yang (i.e. the idea that all things in the universe are created and evolve through the interaction of yin and yang). The four trigrams indicate the changes in and development of yin and yang by means of their combination (“” represents yin while “” represents yang; [geongwae] heaven;[gongwae] earth;[gamgwae] water; and[igwae] fire. The four trigrams surrounding the taegeuk represent unity. The national flag, including the taegeuk pattern, which our ancestors liked to use in their lives, expresses the ideal of the Korean nation’s pursuit of creativity and prosperity. The country has adopted a Presidential system in which the President is elected by the direct vote of the people for a five-year term. President Moon Jae-in was sworn in as the 19th president of South Korea on May 10, 2017. The government is composed of three independent branches: the Executive branch; the Legislative branch composed of 300 four-year term members of the National Assembly; and the Judiciary branch, which includes fourteen six-year term Supreme Court justices. There are seventeen regional local governments and 226 basic local governments. The heads of the local governments and the members of local councils are each elected for a four-year term. In 1948, the two Koreas established their respective governments. Defined as two different countries under international law, they joined the United Nations simultaneously in September 1991. The Constitution of Republic of Korea, however, regards North Korea as part of the Republic of Korea. Koreans regard education as very important. In the process of industrialization, human resources emerged as an important factor in connection with the need to cope with scarce capital and resources more efficiently. Parents’ fervor regarding their children’s education has resulted in the production of a large number of well-educated people, which in turn has helped the country achieve rapid economic growth. The basic school system is composed of kindergarten (1 to 3 years), elementary school (6 years), middle school (3 years), high school (3 years), and university. There are also junior colleges (2 or 3 years) and graduate schools (for masters and PhD degrees). Since 2004, all South Koreans are required to finish middle school under compulsory education. Since 2013, the government has provided childcare allowances for all children aged up to five years. In this international middle and high school students' competition encompassing math, physics, chemistry, biology, astronomy, and information, South Koreans record a good score every year. Thanks to a good system and the high regard for education, the country has many skilled people in virtually all sectors. Korea’s universities produce talented young people specializing in basic science, including physics, and other major sectors, such as electronics, mechanical engineering, business management, economics, and accounting. Many educated adults can make themselves understood in English, with some of them speaking another foreign language. At present, the widespread availability of vocational education sessions at high schools helps students obtain qualifications in specialty areas. According to the OECD’s Programme for International Student Assessment (PISA), South Korean students display a high level of academic achievement in reading, mathematics, and science. The PISA 2015 results show that Korea was among the highest ranked OECD countries, ranking third to eighth in reading, first to fourth in mathematics, and fifth to eighth in science. South Korea has a large number of talented people engaged in cutting-edge research. At government institutes, in universities, and also within Korea’s many world-leading corporations, a vast range of projects are undertaken: from basic research to the development of advanced technologies and innovative new commercial products. In recent years, more research and development has been focused on the fields of the Fourth Industrial Revolution including artificial intelligence (AI), electronics, computers, the Internet of Things (IoT), and big data. As of 2016, the number of researchers in Korea stands at 461,000, equivalent to 13.3 for every 1,000 economically active people. Their activities result in numerous patent applications, both at home and abroad. This is a space where people can access and use a vast corpus of digital materials, and engage in media editing, documentation, and research. Pororo, the country’s representative character for infants, plays a leading role in the progress of the country’s future cultural industry by introducing a variety of products using educational animations and characters. South Korea is a leading powerhouse in information and communication technology. It is a country full of dynamism. It became the first country in the world to commercialize the CDMA and WiBro technologies as well as established nationwide 4G Long-Term Evolution (LTE) networks. Since July 2017, fifth-generation (5G) wireless networks have been in trial operation with the aim of early commercialization in March 2019. These sophisticated information and communication technologies have led to changes in diverse social sectors, including the innovation of government administration. With the help of such advanced technologies, the procedures for reporting a baby’s birth, moving home or registering a person’s death are handled more efficiently. Under the Social Networking Service (SNS), people now use an interactive communication system in which the government provides useful information to people while members of the public can report cases of inconvenience to the government. In 2016, the country posted a total of 124 e-government– related exports worth USD 269.45 million. In the global e-government survey conducted by the United Nations in 2018, South Korea ranked third, following Denmark and Australia. South Korea had ranked first in the 2010, 2012, and 2014 assessments. With the improvement of sophisticated communication infrastructures as the improvement of advanced communication infrastructure and the increased use of mobile devices enables people to communicate with the world in real time, transforming existing ways to exchange information. SNS is a service system that helps people strengthen their existing personal networks and build new ones, thereby enabling a wide range of human networks. KakaoTalk, a smartphone messenger app developed in Korea, is highly popular, along with Twitter and Facebook. Podcast, another form of SNS, is establishing a new area in the communication (broadcasting) sector. Now, SNS even exerts an influence in politics through the formation of public opinion, in addition to its inherent functions such as the delivery of information or entertainment. South Korea is rapidly changing into a knowledge-based society. Human resources are regarded as the most important element of society and as a primary source of national competitiveness. In South Korea, the development of creative good-quality cultural products, in which human resources are combined with cultural resources, is viewed as an industrial sector that will play a leading role in the 21st century. Current examples of the country’s promising cultural products include K-Pop, TV dramas (e.g. Dae Jang Geum), and TV animations for infants (e.g. Pororo). According to the United Nations Development Programme (UNDP), the country’s Human Development Index (HDI) is rising, apparently as a result of the growing emphasis on investment and the development of human resources as key actors of creative industrial sectors. The Human Development Index (HDI) is a composite statistic of the life expectancy, education, and income indices used to rank countries into four tiers of human development. In 2016, South Korea's HDI came to 0.901, ranking 18th among 188 countries. Information/communication technologies help administrative agencies carry out their assignments more efficiently by providing information services relating to individual sectors such as customs clearance, patents, budget accounting, disaster management, immigration control, mail classification, response to public complaints, employment, transportation, residents’ registration, etc. South Korea operates a labor and welfare system that meets international norms. Workers’ three basic rights are guaranteed. Public officials also have their basic rights guaranteed as workers despite some restrictions on their right of collective action. In 1988, the country adopted the minimum wage system, which was designed to protect workers’ rights and interests. There has been a gradual increase in the statutory minimum wage, and the hourly minimum wage for 2018 was set at KRW 7,530. The country has also enacted the Equal Employment Opportunity Act, which prohibits employers’ gender discrimination in hiring, and the obligatory employment system for the disabled, which requires companies to hire workers with disabilities above a certain rate. The country operates the social insurance system against contingencies relating to disaster, disease, unemployment, and death. Workers subscribe to Industrial Accident Insurance against work-related accident, disease or death. It is obligatory for all people to subscribe to the Health Insurance. As of the end of 2016, 50.76 million people or 94.1% of the entire population enjoyed the benefits provided under the state-run health insurance system. The country’s medical insurance system, which provides a high-quality medical service for reasonable service fees, has been appraised as an exemplary case by other countries. Workers subscribe to Employment Insurance. When a subscribed worker is dismissed, he/she is entitled to half of his/her wage for a given period of time and to job transfer training. Workers also subscribe to retirement pension and national pension plans. In addition, workers are entitled to take childcare leave with a year’s partial pay. Pregnant employees are eligible for 90 days’ maternity leave before and after giving birth. Male employees are also allowed to request parental and childcare leave in relation to their wife’s delivery and childrearing. Since 2013, the government has provided childcare allowances for all children ages up to five years. Elementary students are provided with the Dolbom (care) class service. The whole-day care program is to be expanded to all elementary school grades. With the increase in the number of senior citizens, welfare for the elderly has emerged as an important social issue. To address this, the country adopted long-term care insurance for the elderly and the basic old age pension system. In 2018, the government launched a new program named State Responsibility for Dementia, which lowers the financial burden for patients with severe dementia and covers the cost of dementia diagnoses made via neurocognitive tests and imaging (MRI, CT, etc.) and so on, through health insurance. Relevant individuals, businesses, and the government share the burden of insurance premiums for the four social insurances. In 2001, South Korea became the first country to launch a Ministry of Gender Equality; its name was later changed to the Ministry of Gender Equality and Family. It also covers policies for teenagers and multicultural families. In 2013, Park Geun-hye became the first woman President in South Korea’s 65-year history. According to the 2015 Gender Inequality Index released by the UN Development Program, South Korea ranked 10th among 188 nations in terms of gender equality. President Moon Jae-in appointed women to more than 30% of the total number of ministerial positions in his cabinet, the highest in government history. South Korea has long been a culturally homogeneous society, but the number of migrant workers and foreign students has increased rapidly since the end of the 20th century. According to the Population and Housing Census conducted on November 2017, the number of foreign nationals residing in the country stood at 1.48 million, accounting for nearly 2.9% of the total population. 48.0% of these were Chinese nationals. Recently, the number of multicultural households has increased dramatically to 319,000, largely as a result of the high number of marriages between Koreans and foreigners. The government launched an office dedicated to providing support for foreign citizens’ social activities within the country and enacted the Multicultural Families Support Act. Under said act, multicultural family support centers (www.liveinkorea.kr) have been opened in 217 places around the country to provide the following services: Korean language education sessions designed to help foreigners adapt to life in Korea; psychological counseling; events showcasing the cultures of foreign spouses; and employment support programs with affiliated agencies like new job centers. The government is taking diverse measures in recognition of foreign cultures and making efforts to avoid social problems that may result due to the inflow of foreign cultures. One such measure consists in the provision of support to transform multicultural villages into tourist destinations. Chinatown in Seollin-dong in Incheon is perhaps the most representative example of a unique foreign culture in Korea. The history of the place began when ethnic Chinese settled there, taking advantage of its geographical proximity to China, in the late 19th century. Nowadays, the area serves as a forward base for the country’s exchanges with China, and has emerged as a new tourist destination for enthusiasts of history and culture. There is a Special Multicultural Zone in Wongok-dong, Ansan, Gyeonggido Province. People from China, India and Pakistan living here can purchase specialties of their home countries in the zone. There is a Japanese village in Ichon-dong, Yongsan-gu, Seoul; a Muslim village near the mosque in Itaewon-dong, Yongsan-gu, Seoul; a French village (Seorae Village) in Banpodong, Seocho-gu, Seoul; a Vietnamese town is in Wangsimni, Dongdaemungu, Seoul; and a Nepalese town in Changsin-dong, Jongno-gu, Seoul. In 2013, the Seoul Metropolitan Government chose Daerim 2-dong in Yeongdeungpo-gu, in which a large number of foreigners reside, as a trial area for a project to invigorate multicultural village communities. Subsequently, a new cultural complex center was opened in the area in March 2018. Currently, a number of foreign-born Koreans are serving as public officials in central or local government. Foreign residents with various cultural backgrounds are also actively working in the broadcasting industry. Such participation in the Korean society will greatly contribute to the creation of an environment where diverse cultures coexist in harmony and furthermore, to social integration.